The bill to make the practice of tripe talaq among Muslims a penal offence will replace an ordinance issued in September. A fresh Bill to make the practice of tripe talaq among Muslims a penal offence was introduced in the Lok Sabha on Monday to replace an ordinance issued in September. The fresh bill will supercede an earlier bill passed in the Lok Sabha and pending in the Rajya Sabha. An earlier bill was approved by the lower house. But amid opposition by some parties in the upper house, the government had cleared some amendments, including introduction of a provision of bail, to make it more palatable. An ordinance has a life of six months. But from the day a session begins, the ordinance has to be replaced by a bill which should be passed by Parliament within 42 days (six weeks), else it lapses. Introducing the bill, Law Minister Ravi Shankar Prasad said despite the Supreme Court striking down the practice of talaq-e-biddat (instant triple talaq) as unconstitutional, men were divorcing their wives on flimsy grounds and even via Whatsapp. Congress’ Shashi Tharoor opposed the introduction of the bill, saying divorce cannot be made a penal offence and its provisions were against basic principles of the Constitution. But Prasad said “improvements” have been made in the bill and the law was essential to help Muslim women facing the problem of instant triple talaq. The magistrate would ensure that bail is granted only after the husband agrees to grant compensation to the wife as provided in the bill. The police would lodge an FIR only if approached by the victim (wife), her blood relations or people who become her relatives by virtue of her marriage. Neighbours and others cannot lodge a complaint under the proposed law. The offence of instant triple talaq will be “compoundable”. Now, a magistrate can use his powers to settle the dispute between a husband and his wife. This will happen only when the wife approaches the court. The proposed law would only be applicable on instant triple talaq or ‘talaq-e-biddat’ and it would give power to the victim to approach a magistrate seeking “subsistence allowance” for herself and minor children. 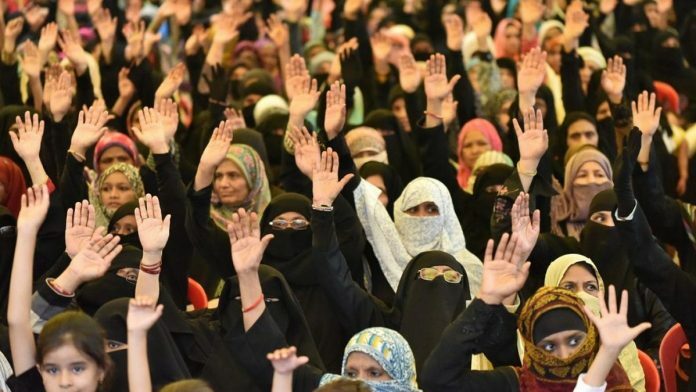 Citing details of instant triple talaq cases, the government had last week informed the Lok Sabha that till now 430 incidents of triple talaq have come to the notice of the government through the media. Of these, 229 were reported before the Supreme Court judgement, while another 201 came to the notice after it.